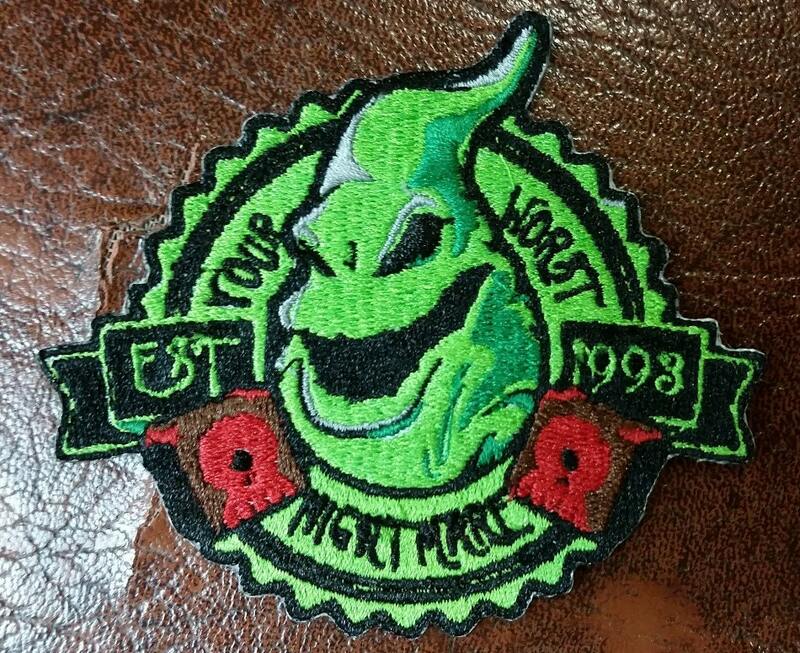 This Oogie Boogie Inspired patch is to die for!! It is sewn with neon green thread, along with light grey, black, red and brown thread. 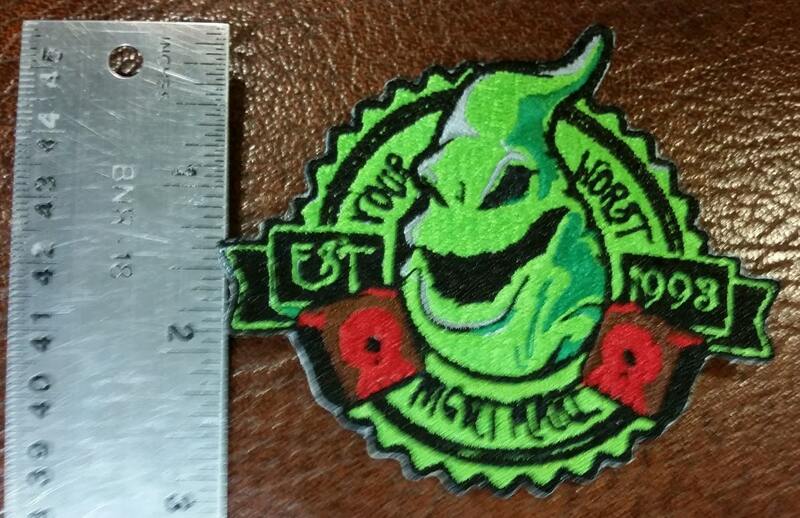 It says, "Your Worst Nightmare," around the border of the patch and Est. 1993 along the sides of the border. 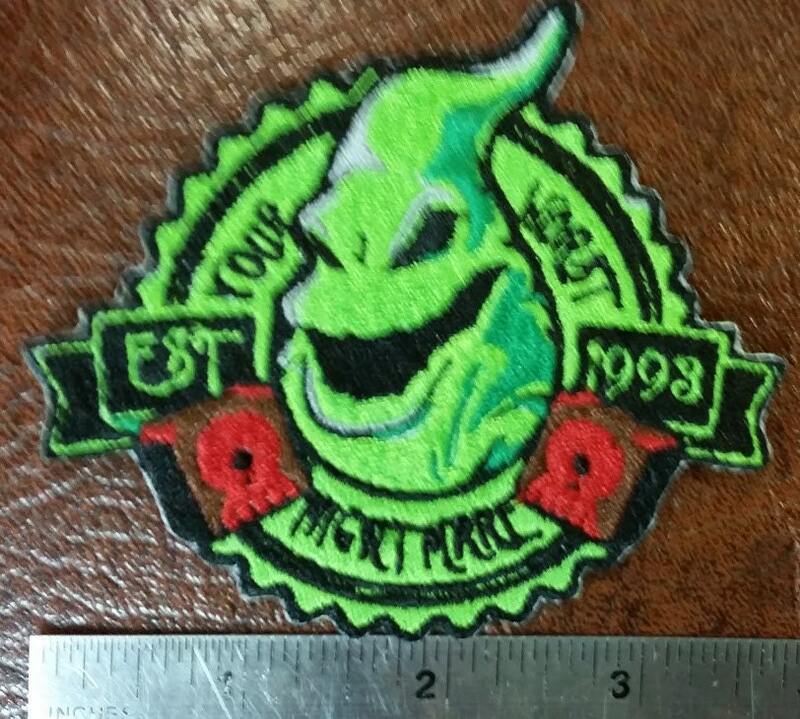 This would look great on any of your apparel or gear or would be great to add to your patch collection. This patch has an iron on adhesive backing and measures approximately 3X3. Amazing patch!! Love it thanks! Added this baby to the pocket of my favorite jacket! I love it so much! 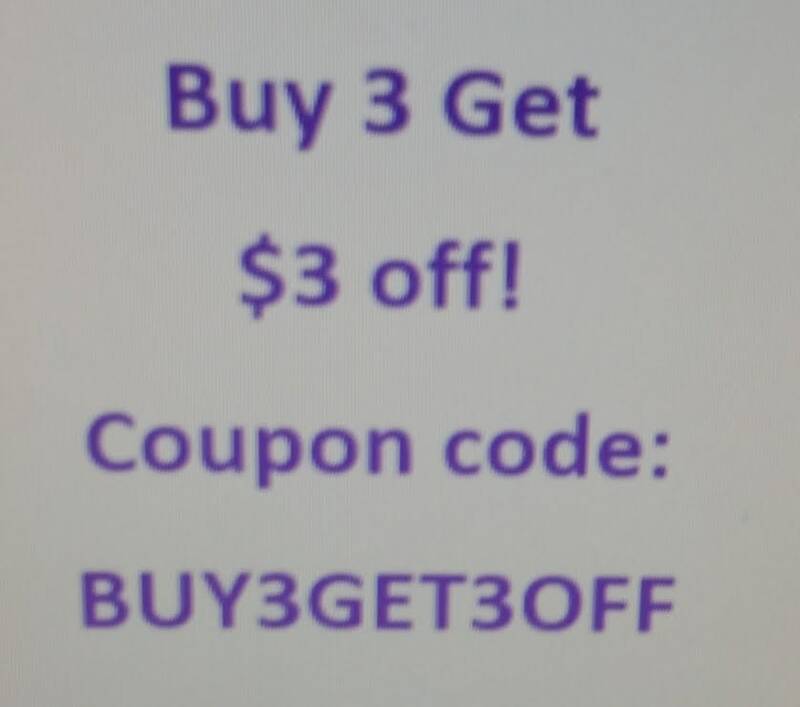 Great item & fast shipping.